While the Denver Broncos have retooled their defense in an attempt to make it back to the Super Bowl, one team has begun to turn heads. The San Diego Chargers aren’t just posing as the #1 challenger for the AFC West crown. They’re posing as a legitimate threat to win the entire conference. Phillip Rivers is the early season MVP of the league. Do you realize the Chargers are on a 5 game winning streak which began with a win over the defending champion Seahawks?? 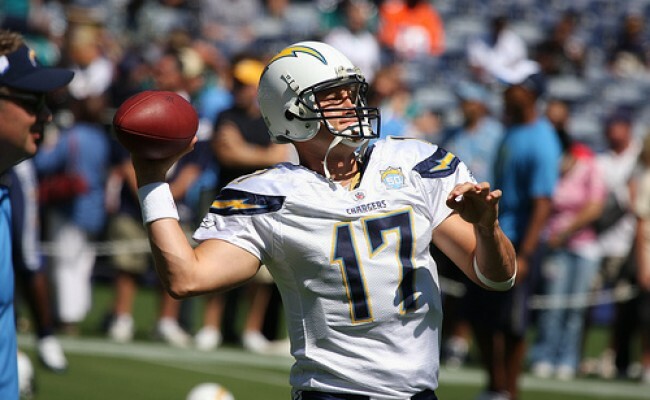 Did you know Phillip Rivers is the first QB in NFL history with 5 straight games with a passer rating of 120 or higher?? He is tied for 2nd with 15 touchdown passes thrown. Although Andrew Luck leads with 17, he’s thrown 7 interceptions to Rivers 2. 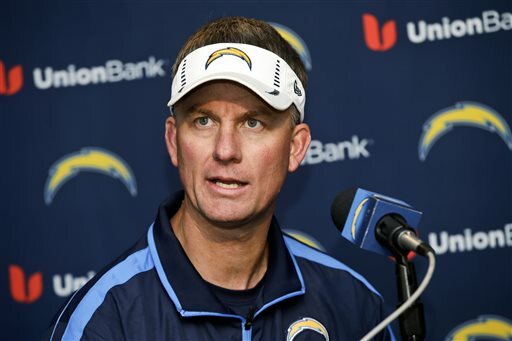 Head Coach Mike McCoy could be up for NFL coach of the year honors this season. Their only loss was to the 4-1 NFC West leading Arizona Cardinals. So this team has been through an early crucible that should serve them well as they gear up for a huge game against Denver in 2 weeks. Therein lies the problem. How do they not look ahead of this weeks game against the Kansas City Chiefs?? That is the #1 item for Head Coach Mike McCoy to convey to his team. Has anyone coached better than Mike McCoy this season?? You would be hard pressed to find one. At the beginning of the season you had backfield cogs Ryan Matthews & Danny Woodhead. Since they have been lost to injury, Branden Oliver (249 yds rushing / 124 yds receiving) has emerged as a spark plug. He runs with an explosive fury where Donald Brown is the steady sacrificial runner for this offense. I know what you’re thinking… sacrificial?? Yes sacrificial. The Chargers have been a power rushing team averaging 31.6 rushing attempts per game. The Chargers know Brown (59 car. 126 yds)will not break any nifty shifty runs. His runs are the equivalent of a boxing jab to just help wear down the defense. In keeping defenses honest TE Antonio Gates has re-emerged with 6TDs on 24 receptions. He hasn’t scored at this pace since 2004. San Diego stands to get Ryan Matthews back from injury in 5 weeks. The ground and pound approach that has allowed Rivers to flourish has kept the defense rested as well. Right now they field the 3rd best defense in football. Right now the Chargers have the NFL’s longest winning streak in football with 5. They have scored 30 or more in 4 games and it was their blueprint Dallas took to Seattle in their watershed victory last week. Two weeks from now they could be 6-1 going into that Sunday Night tilt in Denver. At stake, control of the AFC West and possible control of the conference as a whole. 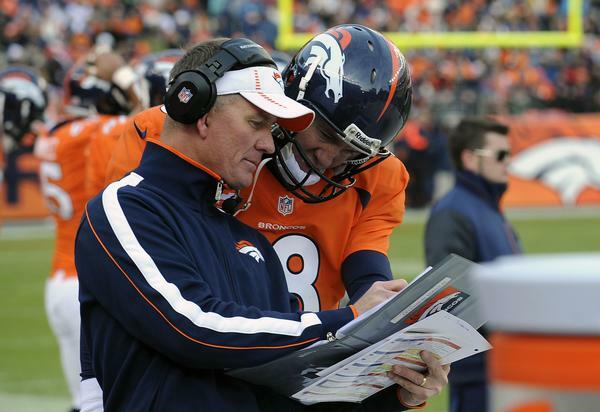 Don’t forget how well Charger coach Mike McCoy knows Peyton Manning. Last year the Chargers won in Denver on a Thursday night 27-20 but lost the rubber-match in the playoffs there 24-17. Those were the two lowest point totals for the record setting Bronco team a year ago who this year aren’t as potent. This year the Chargers are a little more battle hardened and must show it by not overlooking the Kansas City Chiefs. The following week will take care of itself. Thanks for reading and please share the article. This entry was posted in 2014 NFL Regular Season and tagged AFC West, Denver Broncos, football, Mike McCoy, NFL, Phillip Rivers, San Diego Chargers, sports. Bookmark the permalink.